East is East and Ackley Bridge creator Ayub Khan Din was presented with the 2018 Sophiya Haque Services to British Television and Film Award. Few writers and actors have had such a profound impact on British Asian culture than Ayub Khan Din. His work has transcended boundaries and cultures and this during a time when mainstream cinema and television rarely told the stories of minorities. He was presented the award by the sister of Sophiya Haque, Aysha Jamieson after an introduction detailing his influence of British films and television by broadcaster and journalist Sarfraz Manzoor. Ayub said, “I’m delighted and honoured to accept an achievement award for a body of work that I hope continues to inform and entertain and hopefully inspire other young British Asian Men and Women to do the same”. Ayub Khan Din was born in 1961 and grew up in Salford. After enrolling in drama school he wrote his first stage play, East is East (1997), for Tamasha Theatre Company. The story of a mixed-race family growing up in an overcrowded terraced house in a white, working-class area of Salford in the 1970s was first staged at the Royal Court Theatre in London and adapted by Khan Din into a movie. The film starring Om Puri and Linda Bassett went on to become one of the most iconic movies of a generation making world stars of some of its younger cast. It was a story that continues to resonate with young and old and people of all religions and backgrounds. A follow-up screenplay West is West in 2011 continued the story as George Khan heads back to Pakistan. East is East the stage play toured the UK in 2014 and again in 2018 reaching new audiences. It was only fitting that he should take on the role of George Khan himself in the play. Khan Din’s Last Dance at Dum Dum (1999) explored members of the dwindling Anglo-Indian community in Calcutta, still clinging tightly to their old imperial past. This was followed by Notes on Falling Leaves (2004), Rafta Rafta (2007), a comic adaptation of Bill Naughton’s 1960s story, All in Good Time which won a Laurence Olivier Award for Best New Comedy in 2008. Rafta Rafta was made into a movie in 2012 starring Reece Ritchie and Amara Karan. As well as his writing accomplishments Ayub Khan Din has appeared in numerous movies such as My Beautiful Laundrette and Hanif Kureishi’s Sammy Rosie Get Laid. In 1992 Khan Din starred opposite Shah Rukh Khan in the ‘The Idiot’ in the story of Prince Miskin (Khan Din) whose epilepsy is mistaken for idiocy. He has appeared in among others Coronation Street, The Bill, Capital City, Shalom Salaam, Boon, The Chief and London Bridge. Last year Khan Din unveiled one of his most ambitious projects yet, ‘Ackley Bridge’ which follows the lives of different communities at a fictional Yorkshire school. The Channel 4 show which will see a third series in 2019 has been lauded by critics and audiences alike for its storylines and characters. 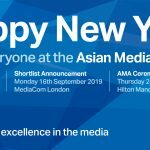 In 2018 the Asian Media Awards is proud to honour a writer, actor and producer whose work has created defining moments in British television, film and stage. 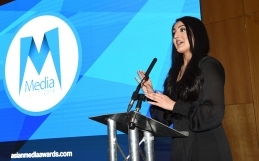 Winners and recipients of AMA special awards were announced at the Hilton Manchester Deansgate on Thursday 25 October. 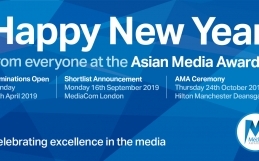 Previous recipients of an Asian Media Award include Krishnan Guru-Murthy, Waris Hussein, Art Malik, Mehdi Hasan, Nina Wadia and Anita Rani. 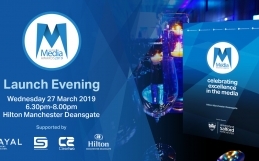 The University of Salford are premier sponsors and partners to the event include ITV, MediaCom, M.E.N, Press Association Training, Primesight & The Palace Theatre & Opera House. The official Charity Partner for 2018 is CLIC Sargent. The event is also supported by Manchester Metropolitan University, Routes Into Languages, Namey, AMT Lawyers, USI Money, Hilton Manchester Deansgate, Supreme Dream Events, Payal Events & Cleartwo.